Happy Friday, y’all! If you’re like me, you’re counting down the days until the season two premiere of Stranger Things on Netflix! To hold us over until October 31st, I’ve found the best nerdy nifties this side of the Upside Down! Obsessed with waffles like Eleven? Want your home to smell like the golden goodness everyday? Look no further, I’ve got what you need! This soy candle will fill your home with the sweet scent of syrup, butter, and waffle batter! Anyone else hoping we find out what happened to poor Barb? Same, dude. Same. Personally, I’m 100% #TeamBarb. I’m thinking the folks at Funko are too! Check out this a-DORK-able Barb Funko Vinyl Pop! And, just because we can’t watch it too many times, here’s the trailer for season two of Stranger Things! Happy fangirling! Friday, you beautiful thing, you. I’ve missed you. I’m glad you’re back. And, my rabid reader, I’m glad you’re here too! I’ve got some AH-MAY-ZING stuff for your fandom-loving heart! I do NOT like to be pranked. However I do enjoy watching other people get pranked. Especially when its Disney-themed. Check out this hilarious prankster tricking his friends with lines from classic Disney movies! I recently cleaned out my closet and found that most of it is full of t-shirts. And you know what? Honey Badger don’t care. I love t-shirts! I also love a good book. And now, my two loves are colliding! 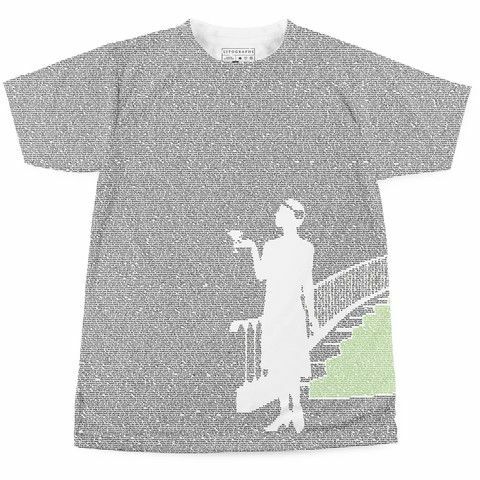 This shirt, exclusively from Litographs.com prints tees with text from your favorite classic books! The one above is Great Gatsby-themed and there are so many more, including Pride and Prejudice, Hamlet, and Peter Pan! I want them ALL! I’m always looking for ways to motive myself to work out, but they don’t usually work. These yoga pants, however, will make me feel like the beast I know I am! 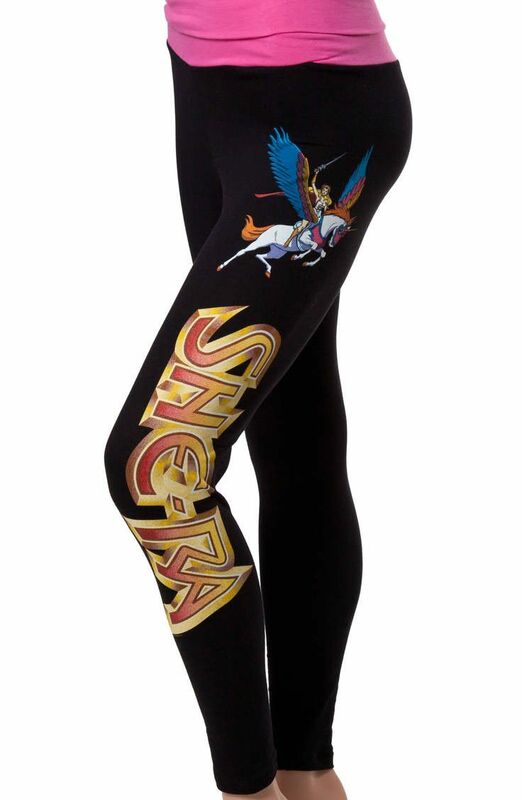 These She-Ra bottoms are sure to let the guy that doesn’t wipe off the elliptical that you are NOT playing around at the gym! The website, 80stees.com, has a plethora of throwback-themed apparel for everyone! Check them out! Don’t forget, Father’s Day is this weekend! Get your family’s patriarch some silk swag fit for a hero or the best air hockey table for endless tournaments with the kids to enjoy! 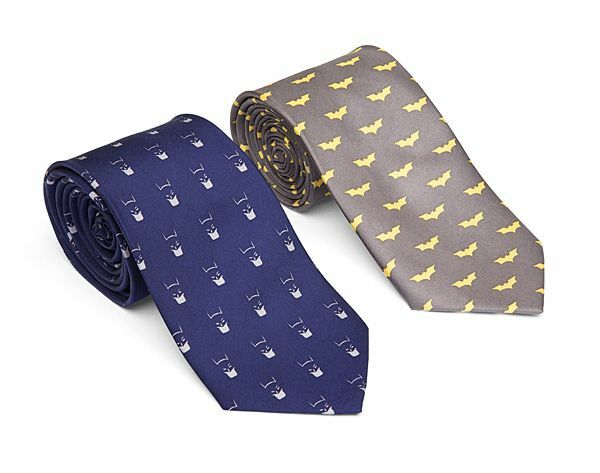 These Batman ties are a Think Geek Exclusive (meaning you can’t just walk into any store and get them!) so act fast! You can still get rush delivery and have them in time for Sunday’s BBQ with Pops!